Join us for an experience like no other the Wiltshire Museum has ever seen! 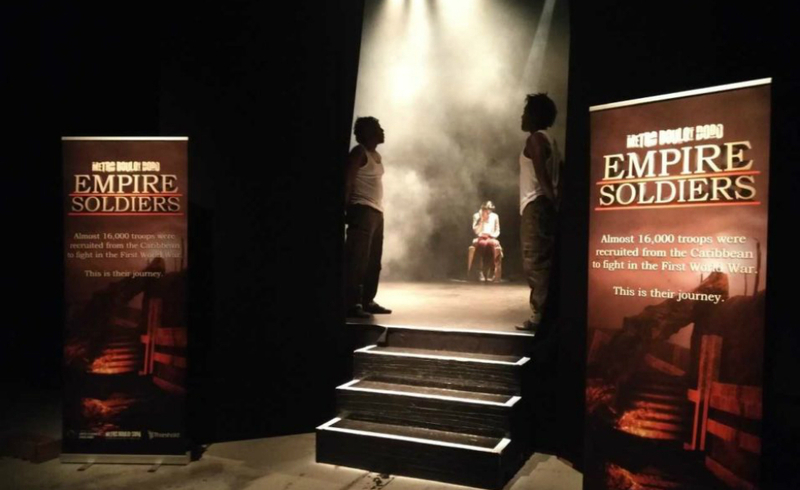 Empire Soldiers VR is a breath-taking experience blending street-dance performance and technology to tell the compelling stories of the forgotten Caribbean soldiers of the First World War. Through Virtual Reality and 360 degree film, this show brings a truly immersive experience that is emotive and unforgettable. Hear the captivating stories of the battlefield as you are joined by a returning soldier and share the emotional experience of the return home. As the journey continues to the present day, focus turns to the resulting changes over the last 100 years and the impact of migration on the world today. Performances will be held between 10.30am and 3.30pm. FREE ENTRY to the event. The performance was developed by Metro-Boulot-Dodo – established in 1997 as a touring theatre company. A few incarnations and over twenty years later we have combined all of that theatre experience with a bit of visual arts, street arts, heritage interpretation, large scale performance, a full scale recording studio and an ongoing interest in technology. MBD now operates in the arts and heritage sector offering a range of experiences from large-scale spectacles to intimate VR experiences. Very thought provoking and powerful. 1st VR experience and really enjoyed it! This was amazing! Very clever production- highly recommend it! We are grateful to the Devizes Area Board of Wiltshire Council for funding to enable us to hold a workshop with students from Devizes and Lavington Schools.